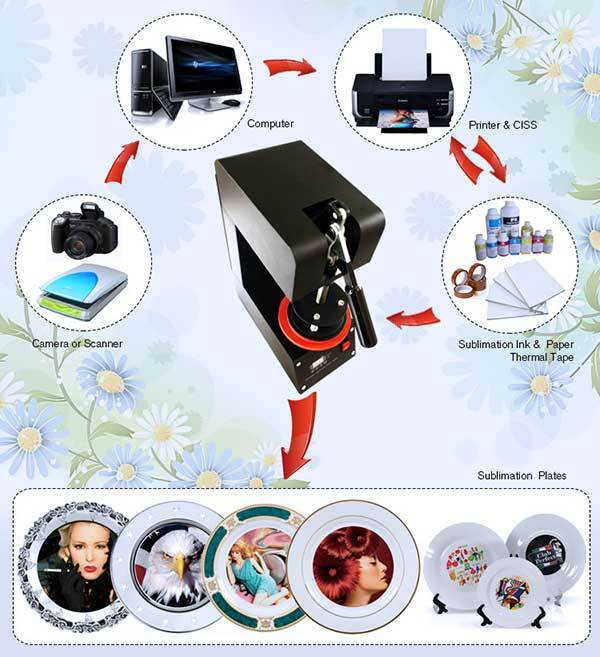 Can be sublimated logo or type, solvent type ink, high temperature and pressure, and a certain amount of time, heat transfer printed plate. ③Set time & temp you want with temp/time gauge get required numbers. 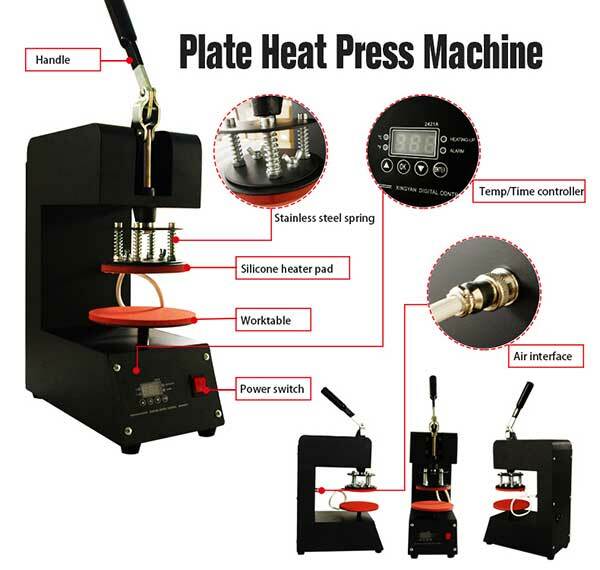 ④The temp for heating plate will start to rise up, when it reaching temp you set, please the material on the working tale and close the handle.